People fortunate enough to survive cancer will celebrate with family members and fellow survivors on Saturday. That’s because June 3 is National Cancer Survivors Day. Those who endured treatment, regardless of what it was, and faced a level of uncertainty about their health and their mortality, will celebrate life. Others will use the day to celebrate advancements in cancer treatments and progress in medical research. The good news is that this year brings even more good news to everyone who wants to send the end of cancer. Survival rates for many cancers, including breast cancer, are at all-time highs. According to Celebrating-Survivorship.com, a website where survivors can share their experiences and lend advice to others, the 5-year survival rate for breast cancer has reached 90 percent. For diseases like lung cancer and mesothelioma, both of which are asbestos-related diseases, survival rates still have room for more improvement. Today’s medical advancements are making the future bright for all cancer patients. Additional reports cite that almost 12 million Americans are cancer survivors, either living with or beyond a cancer diagnosis. These achievements truly mark years of medical research, education and access to quality treatment. Many support networks, including Celebrating-Survivorship.com, now advocate for an increased focus on how to improve life for cancer survivors after cancer has been beaten. In addition to the celebration of National Cancer Survivors Day, patients and the medical community have even more reasons to be excited. On May 29, in the medical publication Nature Genetics, the St. Jude Children’s Research Hospital and Washington University Pediatric Cancer Genome Project announced that the largest release of ‘comprehensive cancer genome data’ would be made available to the entire scientific community, for free. According to the publication, this release of data would more-than-double the volume of genome data that is currently available about the human genome. For cancer researchers and scientists of all diseases, this means endless opportunities. Mesothelioma and lung cancer researchers may be able to utilize this data to further understand how these cancers progress in the human body. “Setting this precedent reflects a commitment to freely sharing information that has been a hallmark of St. Jude since we opened our doors 50 years ago,” said Dr. William Evans, the director and CEO of St. Jude. The project began in early 2010 and costs an estimated $65 million, with St. Jude covering the vast majority of the expenses. Despite these great milestones for survivors and researchers, the fight is far from over. The battle remains vigilant on improving the quality of life of survivors while also preventing cancer in those who may be at risk. After cancer treatments have proven successful, the patient is still left with many side effects of treatment and lifestyle adjustments that prevent them from returning to complete normalcy. Mental, physical and emotional issues often leave them more in ‘patient-mode’ than normal-mode. For example, hair loss, fatigue and significant weight changes are all things that are common for survivors upon treatment. Resources like Celebrating-Survivorship.com aim to relieve the challenges of cancer survivors by providing information about how to best deal with these issues. It is often as simple as one survivor using these resources to advise another survivor. For those who haven’t faced this battle, the challenges are different. Some experts state that men in the United States have a 50 percent risk of developing cancer in their lifetime. This means that for those who have never received a cancer diagnosis, taking all the necessary steps to stay healthy and prevent the preventable diseases must be done. In addition to avoiding risk factors like smoking, unhealthy diets and lifestyles, regularly getting screened is arguably one of the most important actions. Frequent screenings can allow your medical professional to detect the existence of potential-cancerous threats. 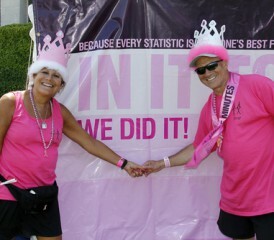 Those who have beaten the odds will look to the National Cancer Survivors Day 2012 as one of many to come. They often have much to say about their stories. 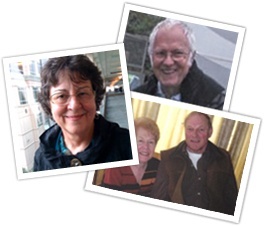 Survivors who have spoken with the Mesothelioma Center have continually expressed sincere appreciation of their life, love and family. “We’ve never given in, never conceded anything,” Bob Oberstar said, who is a 7-year survivor of mesothelioma. Angela Winsor, who was diagnosed with mesothelioma in 2011, mirrors Oberstar’s sentiments. To those who may have recently received a diagnosis, the advice from another survivor is simple. “Don’t look at statistics, we’re individuals not statistics. Make the most of your time and look after yourself. I never look ahead more than a few weeks,” said Lyn Johnson, a mesothelioma survivor who was diagnosed in 2007. Cancer survivors value every day after the diagnosis. On Saturday, however, all survivors will unite and celebrate the accomplishments that affect millions of Americans and their families. Downing, Z. et al. (2012, May 29). The Pediatric Cancer Genome Project.